When it comes to insurance, we cover a variety of areas. Life, children, retirement, automobiles and travel insurance are common types of insurance for the general population. Businesses have their own set of insurance against natural disasters, employee disability, cargo/fleet insurance and so on. However, what other types of bizarre insurance can you be covered under? You might be surprised by what we found. These are always a popular tourist attraction around the world. Most organizations who host haunted houses have general liability in case of injury to its guests. Furthermore, old hotels such as one located in Lowestoft, UK, have insured customers and their staff members for £1m (annual premium of £500) in case of disability or death due to ghosts. It is worth mentioning that the hotel is 500 years old, situated next to an old graveyard and has had to deal with some unusual activity in their hotel. 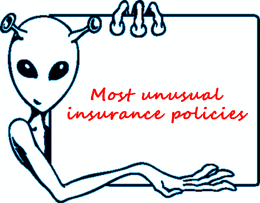 There is a plethora of information about celebrities and their strange insurance policies. For example, cricket lovers in Sri Lanka may recognize former Australian cricketer Merv Hughes, but may not be aware that he had insured his famous handlebar mustache for just under $400,000 during his playing days. Similarly, footballer David Beckham has his legs insured for an astounding $70million. Daniel Craig, who plays James Bond had insured his body for just under $10million as he was insistent on performing his own stunts for the 2006 film Casino Royale. Yes, it exists. However, the policies do vary. Some organizations reveal that their clients are covered only if calling off the wedding is due to reasons beyond the policy holders control. 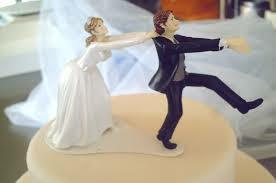 Based in the USA, Fireman’s Fund have insurance for major events such as weddings and anniversaries. Some of the options involve cancellation of the wedding (by either bride or groom, subject to conditions), poor weather, photography issues and personal liability insurance, to name a few. This is the type of insurance nobody wants to talk about, but may need at the end of the day. Depending on the funeral parlour and customer needs, the cost of a funeral can range from Rs20000 to Rs200,000. On the surface, it appears to be reasonable to get insured, especially in a family orientated culture like Sri Lanka. At the end of the day, the last thing people want to worry about is the financial cost of giving their loved ones a proper send off. CNN did an iReport on the St. Lawrence agency who claim to have offered this service since 1987. They offer a single lifetime premium of $19.95 and say that they will give you $10million if you are abducted, and can provide the signature of the alien who abducted you. We are yet to find out if any claims have been made. Lets be clear. A phone is a terrible thing to waste. When phone insurance was first offered by Dialog to the general public in 2007 its competitors followed suit. Ceylon Today reports that Smartphone usage has surged to 400%. Combine this with the fact that we use our phones to store our emails, phone contacts, access the internet, store movies, music, notes and pictures it appears to be a no-brainer to have phone insurance. However, the majority of Sri Lankans do not appear to be concerned as their data can be backed up by cloud technology. What are the more weirder types of insurance you have heard about? Tell us in the comments and Subscribe to our blog!